Welcome to our website, your guide to the best of homes and condos for sale in Louisville and Oldham County, Kentucky. If you and your family are debating the move to the Louisville area to advance your career, or are a Louisville native ready to make your move up to the finer side of life, I invite you to take a look at some of the best homes for sale our area has to offer. I'll cover everything from Louisville and Oldham County's hottest new communities, to our area's finest schools and social clubs. We'll also tour local shopping and fine dining locations throughout the east end. Browse through our Home Search page to see everything that's on the market today. Or explore our most popular subdivisions to see what's currently available in specific communities. Not sure how to get there? Our Maps page will help you find your way. Buying? Here you'll find great tips and FAQs for home buyers. For assistance, send me your Wish List and I will help you find the home that best fits your family's needs. 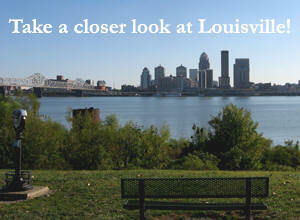 We love Louisville and hope you will too, or already do. If you're looking for fun things to do locally - look into Area Stores and Entertainment. Is there a marriage in your future? Our Louisville Weddings page has everything you need to make the big day go smoothly. Visit Our Schools, Local Utilities, and Auto Care for a selection of helpful information. While you're here, you'll discover the many ways that you can Get Involved! Our website is also a great place to get to know the Metro Louisville area and her surrounding counties, Oldham and Bullitt. We have information on local schools, both public and private, fun places to explore, and Louisville's favorite places to eat. We have info for buyers and sellers, understanding mortgage basics and a whole lot more. This website can even help you tie the knot if you're looking to get married in Louisville. 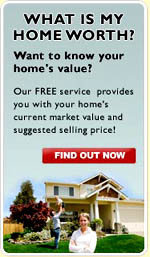 Again, welcome to our website and The East Louisville Realty Team! Planning a trip to Kentucky? Community Info - Restaurants, theaters, malls and other fun things to do. Get a real feel for Louisville's diverse cultures and entertainment offerings. Help For Buyers - What's your plan? Do you need a place of your own or more room for a growing family? You want to be closer to work so you're spending your hard earned money on equity instead of gas? What "moves" you? Maps - I learned how to read maps in the Boys Scouts, how about you? GPSs are handy, but just like when Columbus set sail for the new world, a good map would have come in handy. This page of our website is dedicated to maps of Louisville, Oldham County and northern Bullitt County, KY. Not all of Louisville's subdivisions and streets show up on GPS systems so take a good map along for the ride when shopping for a new home. Better yet, take along a real estate professional from The East Louisville Realty Team! Louisville News - Print may be dying (Sorry CJ and LEO), but the news is alive and well and living on the live feed you'll find on this page. Louisville Weddings - You rope him and we'll help tie the knot. Here's your guide to getting married in and around Louisville, Kentucky. About Us - Meet the faces of your dedicated team of real estate professionals. Do you need a house for sale with 1 bedroom, 2 bedrooms, 3 bedrooms, 4 bedrooms or more? Do you want a ranch style home, a 2 story home or 3 story home? Do you need a house with a basement, a house with a fenced yard, a house with a garage or a house with acreage. Do you want new construction custom built homes or custom home builder designed homes where you can still pick out the carpet, tiles, hardwood floors and paint colors? Do you need a 1 bedroom condo, a 2 bedroom condo or 3 bedroom condo. Whether you want a classic style condominium, a patio home for sale, a townhouse or a stand alone condo, you can find it here. We have all the listing to choose from on our website from EVERY Realtor company in town listed below. Have fun home shopping on your own or give us a call for the fastest service in the greater Louisville, KY area at 1-502-821-3062. Springhurst Village of Abbeywood Louisville KY 40241 listings are patio homes off Springhurst Blvd at Abbeywood Village Drive. Springhurst Village of Felsmere Louisville KY 40241 listings are houses off N Hurstbourne Pkwy at Felsmere Circle. Springhurst Village of Hartwick Louisville KY 40241 listings are townhouse condominiums off Springhurst Blvd at Hartwick Village Drive. Springhurst Village of Ivybridge Louisville KY 40241 Houses For Sale off White Blossom Blvd at Buttonbush Glen Dr.
Springhurst Village of Moorfield Louisville KY 40241 Houses For Sale off Springhurst Blvd at Moorfield Circle. Springhurst Village of Springbrooke Louisville KY 40241 Houses For Sale off N Hurstbourne Pkwy at Springbrooke Circle. Springhurst Village of Spring Meadows Louisville KY 40241 Patio Home Condos For Sale off White Blossom Blvd at Lilac Vista Drive. Springhurst Village of Springmont Louisville KY 40241 Patio Home Condos For Sale off N Hurstbourne Pkwy at Springmont Place. Springhurst Village of Tuxford Louisville KY 40241 Patio Home Condos For Sale off White Blossom Blvd at Buttonbush Glen Drive. Springhurst Village of Valencia at Springhurst Louisville KY 40241 Patio Homes For Sale off N Hurstbourne Pkwy at Garwood Pl. Springhurst Village of White Blossom Louisville KY 40241 Houses For Sale off N Hurstbourne Pkwy at White Blossom Blvd. Springhurst The Estates at White Blossom Louisville KY 40241 Houses For Sale off N Hurstbourne Pkwy at Whiteblossom Estates Pl. Springhurst Village of Wynbrooke Louisville KY 40241 Houses For Sale off White Blossom Blvd at Wynbrooke Circle.